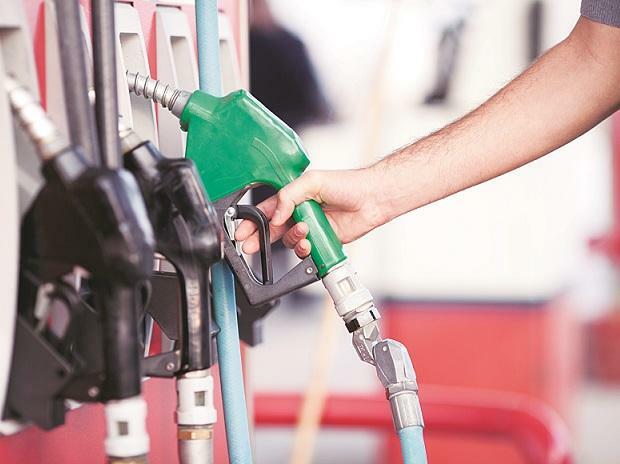 With petrol and diesel prices going up by almost a rupee per litre within a fortnight, the government on Wednesday hoped that the rally in global rates is temporary and they will decline soon. Petrol price on Wednesday was hiked by 13 paise a litre and diesel by 14 paise, taking it to a new high. In Delhi, where the fuel is cheapest in all metros and most state capitals due to lower sales tax or VAT, a litre of petrol now comes for Rs 78.18 as against Rs 78.05 per litre rate of Tuesday. Diesel, on the other hand, touched a new high of Rs 69.75, up from Rs 69.61. "I earnestly believe that this increase in oil prices is really temporary," Economic Affairs Secretary Subhash Chandra Garg said. The fluctuations were seen coming, he said. "The crude (oil price) had gone down to the level of USD 70 per barrel and it is back to USD 74-75, it should be temporary. It is coming out of some countries not able to produce so I hope it remains temporary. We will be able to come back USD 70-71 per barrel soon," he said. Diesel prices this week hit their highest level, crossing the previous peak of Rs 69.31 a litre reached on May 29. Petrol rates are however yet to hit the new record high of May 29, when they touched Rs 78.43 a litre in Delhi. Fuel prices have been on the rise since August 16 after the rupee dipped to its lowest value against the US dollar. The domestic unit hit a record low of 70.59 today. India imports bulk of its oil requirement. Petrol price has risen by Rs 1.04 a litre in Delhi in last 14 days. Diesel rates have gone up by Rs 1.03 per litre since then.